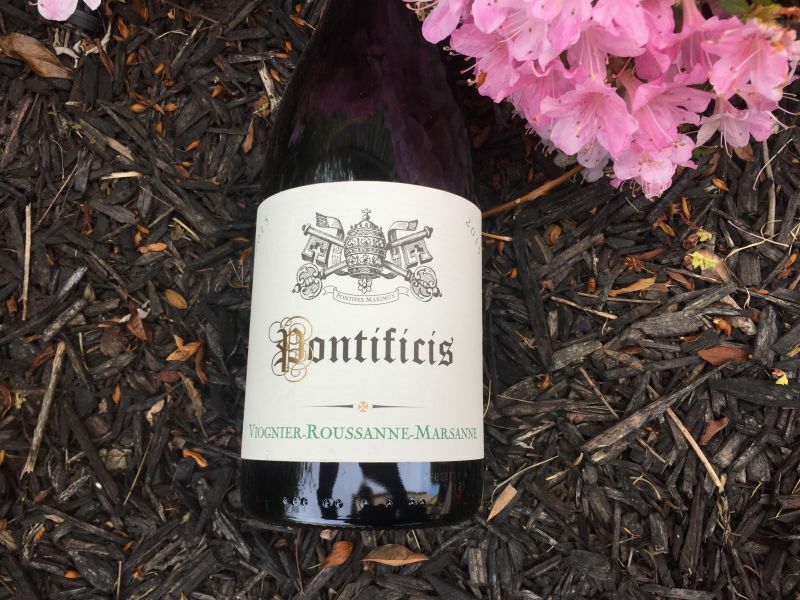 This week’s Bargain Wine is the Pontificis blend of Viognier, Roussanne, and Marsanne. 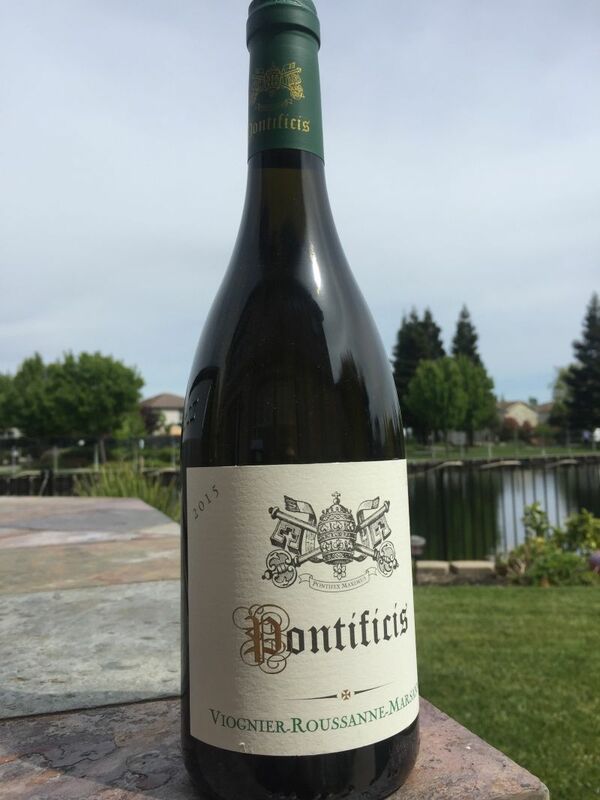 A few weeks ago we reviewed the Pontificis Red, a GSM. This wine comes from the same region; Languedoc-Roussillon. It too uses traditional grapes for the region. Unusually for a French wine, the grapes are not only listed on the front of the label but on the back, the precise percentage of each variety is given. The blend is 45% Viognier, 45% Roussanne, and 10% Marsanne. The nose on the wine was fruity; with notes of apple and lychee. The colour was a rich golden shade. Both of these signs suggested that the wine might be overly sweet, but that was not the case. The mouthfeel was creamy but balanced by a delightful crispness. The fruit was muted, but the apple flavours matched the nose. This was not an overly complex wine, but there was enough character to make it a pleasant sip. I think that people who enjoy Pinot Grigio would enjoy this wine. I drank this with a pasta, sausage, and pesto dish, which was not a good choice for pairing. The softness of this wine calls for a delicate fish or just company on the patio on a Summer’s afternoon. Regular readers of this blog may recall that late last year I tried a blend of these same three grapes at Miner Family vineyards. I found their example to be too floral. The Pontificis, on the other hand, has a refreshing simplicity that I would choice over this Napa equivalent. Moreover, this wine is a quarter of the price. This wine, as was the case with its red sister, was purchased for $6.99 at Trader Joe’s.